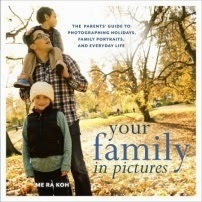 I came across the book Your Family in Pictures by Me Ra Koh, and although it's a parent guide to photography, and I am just an aunt with lots of cute nieces and nephews. I realized it would be also useful for myself. Those of you who read my blog know I love to take pictures, I am not a professional, and I don't have a thousand dollar camera with all the crafty lenses. I own a decent 10 MP camera. Although I am getting pretty good with all the different functions and speeds. Knowing exactly which speed for which lighting, which setting for each environment has been a little bit of a struggle for me. I took photography in high school and I remember the basics, but there is just so more to taking a great picture than a high school class can teach you! Which is why when I received this book, even just as I thumbed through it initially I was loving it. Me Ra Koh breaks down simple every day pictures and settings and pretty much tells you exactly what to do from everything with a point and shoot camera, to a fancy all the bells and whistles one. A few weeks back I took a trip, and this book with me and I was out to experiment and see if I too could use her tips to create better pictures. The first section I paid attention to was Photographing Vacations and Travel. 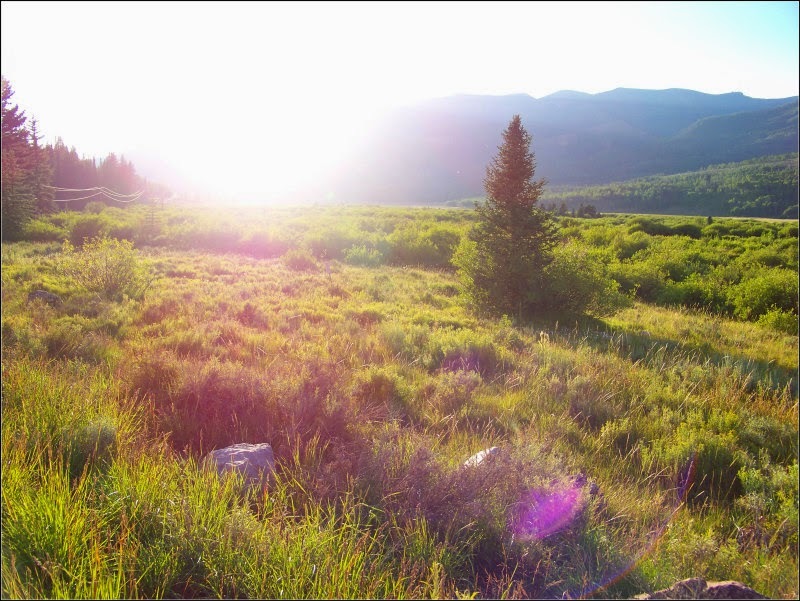 I read through the tips for the "Great Outdoors" and experimented one evening and this was one of the pictures I took. One of her tips was to let the glare help tell the story. She said to lift the lens into the sun and let the sunlight right in, bokeh rings and all. I would have loved to have some of the nieces and nephews running through the forest area here in the picture, but with too many bull moose around it wouldn't have been smart. However, I do love how the light hits everything in this picture, creating different colors and shades of all the greens. 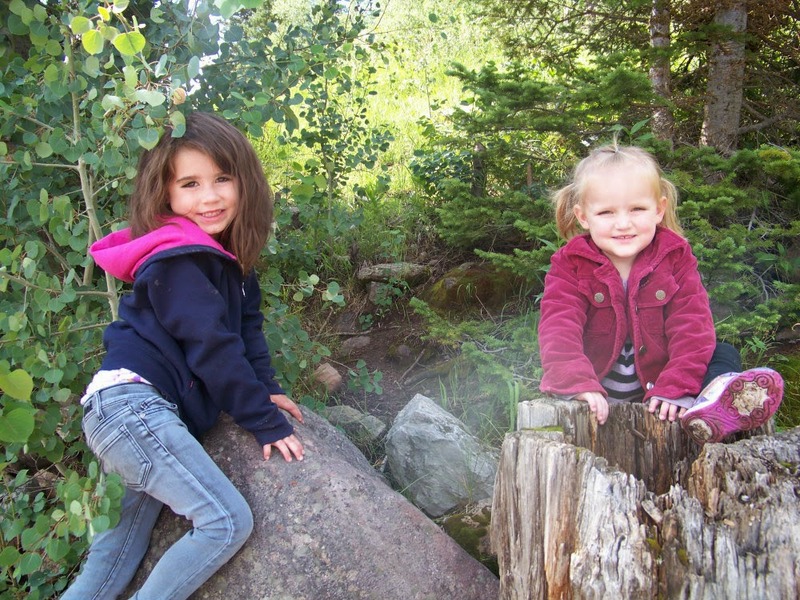 Next, I decided to take the section(s) on photographing kids and give them a try. One of the tips was finding an interesting location. We were out fishing one morning and although I could have took a shot right up against the lake, I realized if I did they would be in too much light, not to mention the reflection of light on the lake. The shot was taken in the morning, but I put them in the shade to reduce glare. The large rock and old lake tree stump were perfect for "interesting location" and then I took a few shots. Granted a professional photographer or an even better camera would probably do an even better job. But using the tips the book gave me, I don't think I did too shabby! I would go on and show you all the pictures I took using the different tips, but that would be the worlds longest post. If you are a mom, dad who loves to use your camera. Even if it is just the camera that comes on your smart phone. You'll be able to get lots of tips and idea's to use what you have to create beautiful pictures. You don't have to have hundred dollar lenses to still get a great shot. Me Ra Koh tells you simple tricks you can do to find success with any camera. I am having a lot of fun with this book and my camera and I am already looking forward to the next time I am out to use the new tips and knowledge I have gained to use my eyes to create even better pictures than before. Disclaimer: I was provided a complimentary copy of this book for my review. I was not asked to write a positive review, all thoughts and opinions are my own.